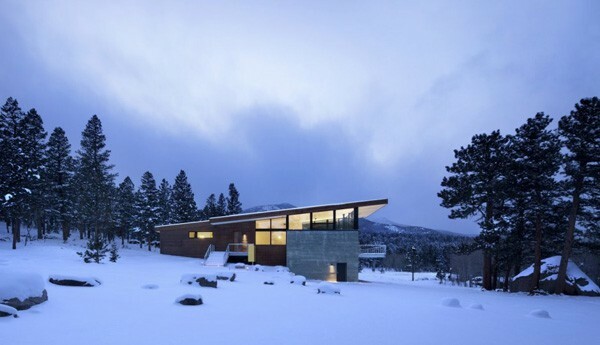 Lodgepole Retreat is a Rocky Mountain, Colorado getaway designed by Arch11, taking its simple form as a modern response to simple mining structures of the area. 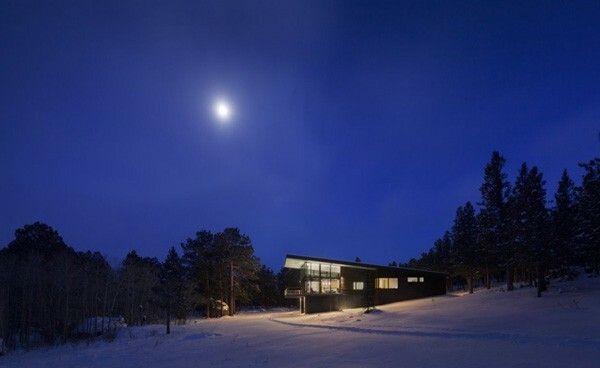 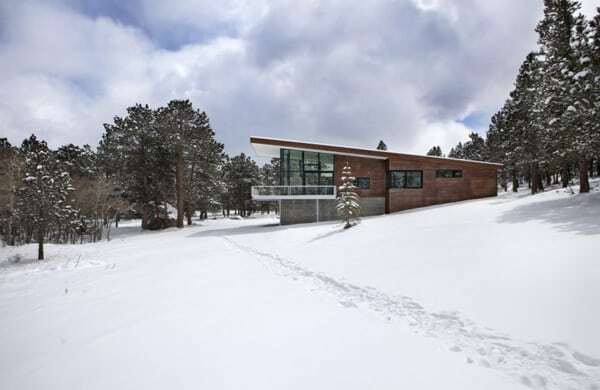 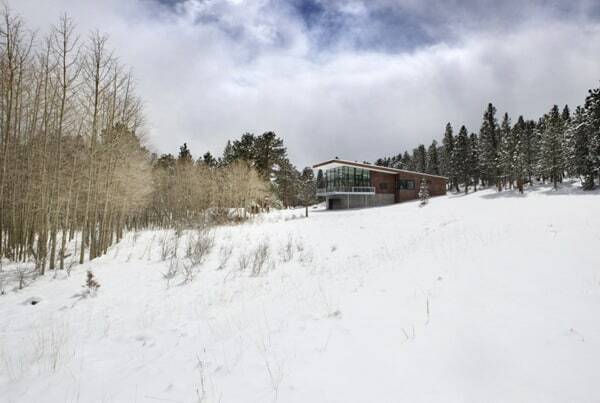 The single roof plane efficiently manages the snowfall at 9000’ above sea level while serving as a platform for the 10kw photovoltaic system that, along with an electric boiler, an air to air heat exchanger, and LED lighting, allows this 2,200 square foot house to operate at net zero energy use each year. 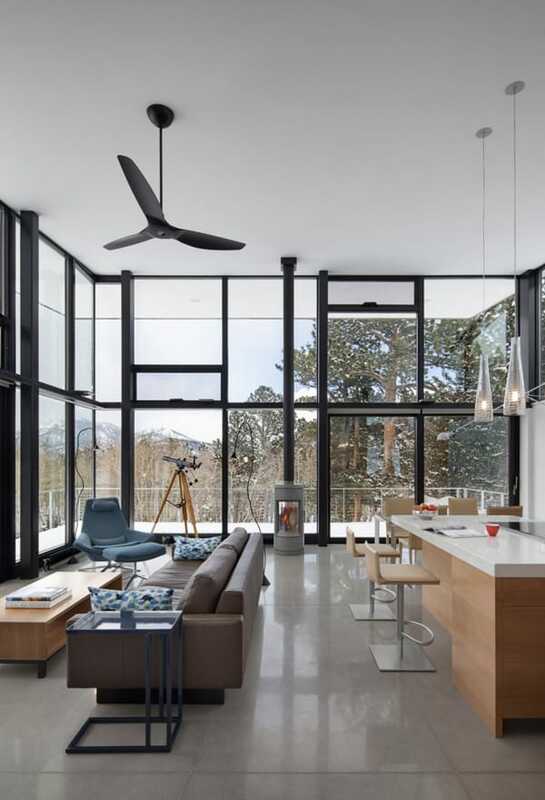 An open-plan, glass-enclosed great room gives the sense of living in the out of doors while each private space offers carefully-framed views of specific parts of the alpine setting. 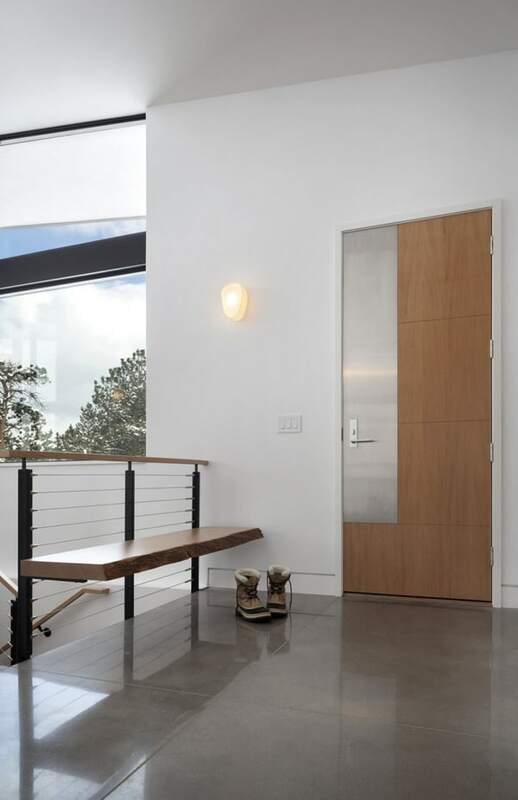 All construction assemblies and materials are designed to meet the strictest fire-resistant codes. 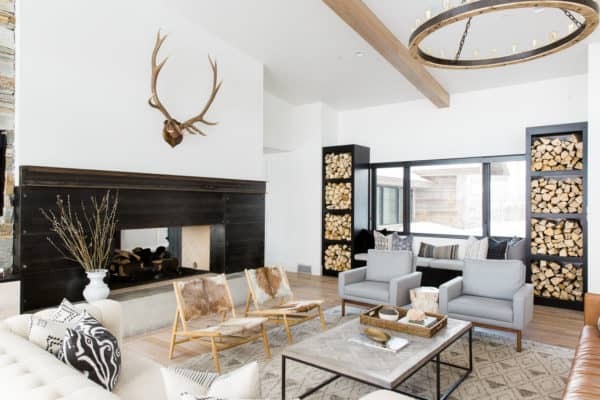 What started as an intimate 2 bedroom, 1-1/2 bath cabin for a Colorado couple and their grown children, grew to 3 bedrooms and 3 baths when they began to consider space for their grandchildren. 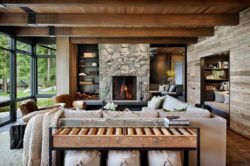 The couple had owned the property for years-spending weekends there as their two children grew from toddlers to teens. 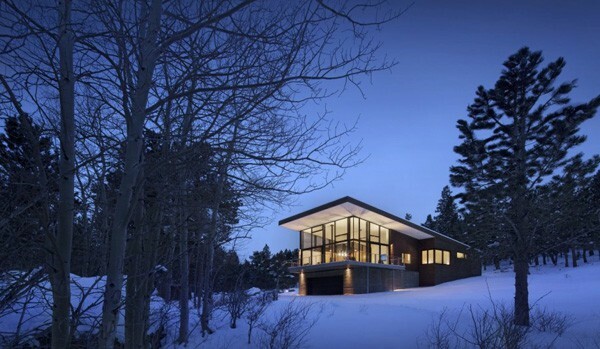 A 1960’s-era stone cabin sufficed, until the pair decided they wanted something more enduring. 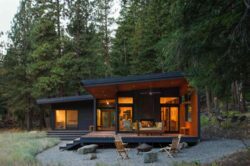 Having previously seen an Arch11-designed house, the couple decided they wanted a contemporary cabin. 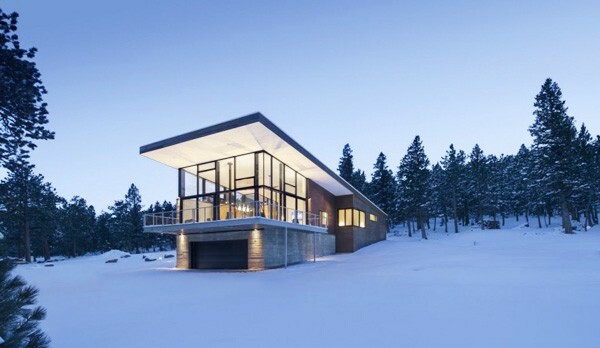 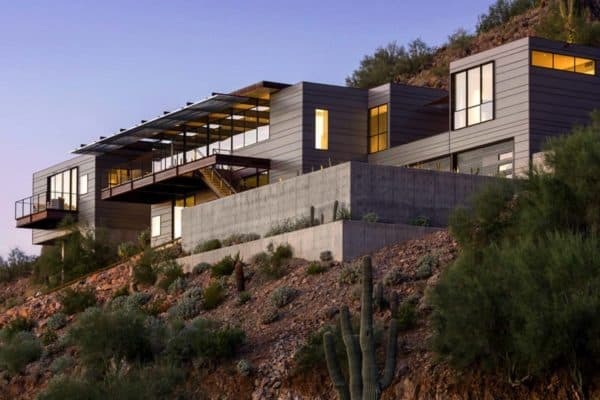 The homeowner’s wish was for unobstructed views of the majestic Rocky Mountains that surround the site. 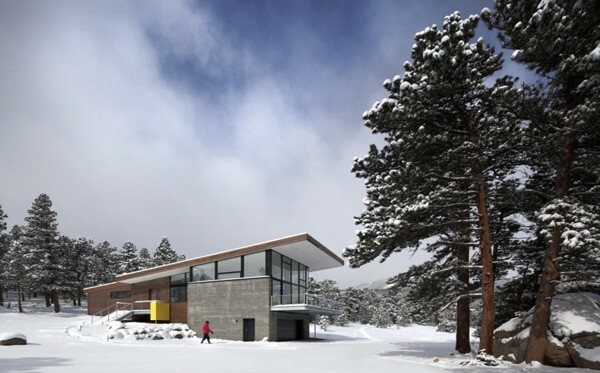 The pristine setting includes a 30 acre meadow and high alpine forests, which suggested for a design solution that should be as light on the land as possible. 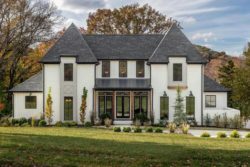 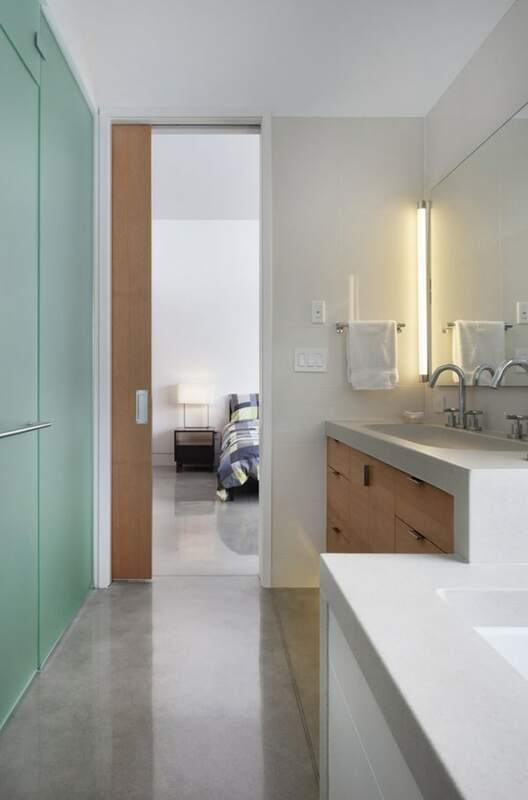 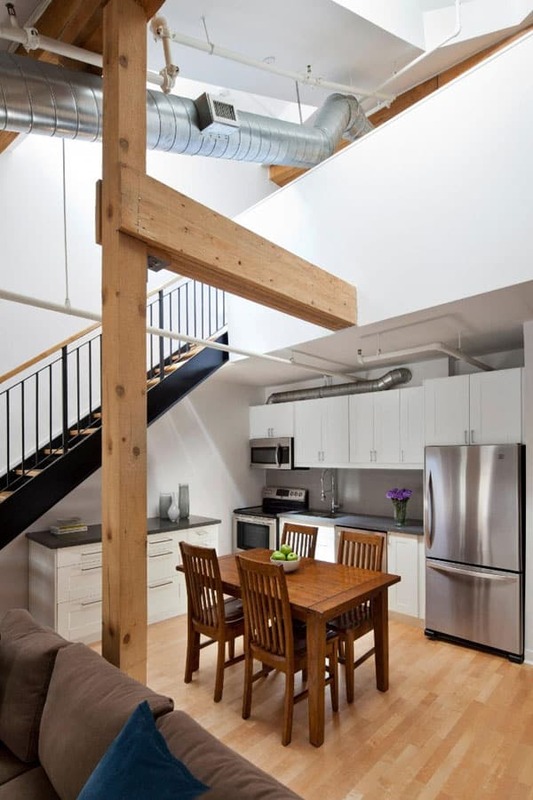 So light, that the owners wanted to get as close to net- zero as possible and be nearly maintenance free as well. 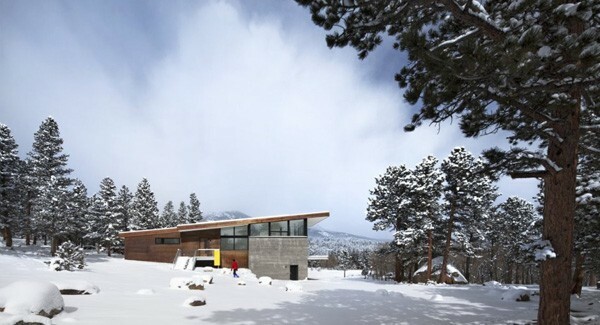 The living plane is elevated above the ground on a poured-in place concrete pedestal to heighten the experience of floating above the meadow. 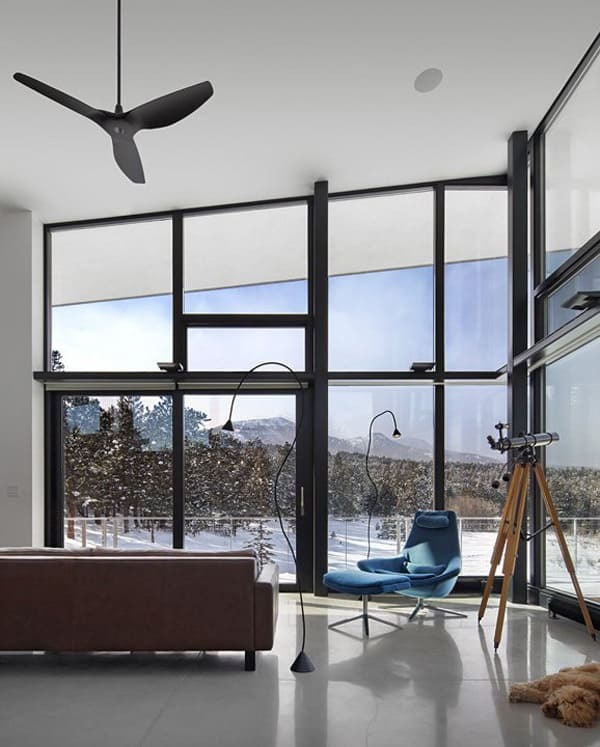 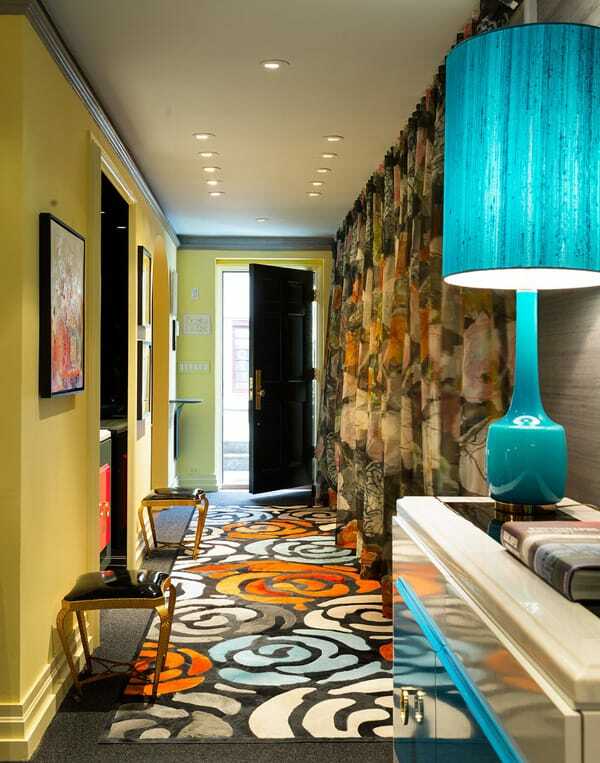 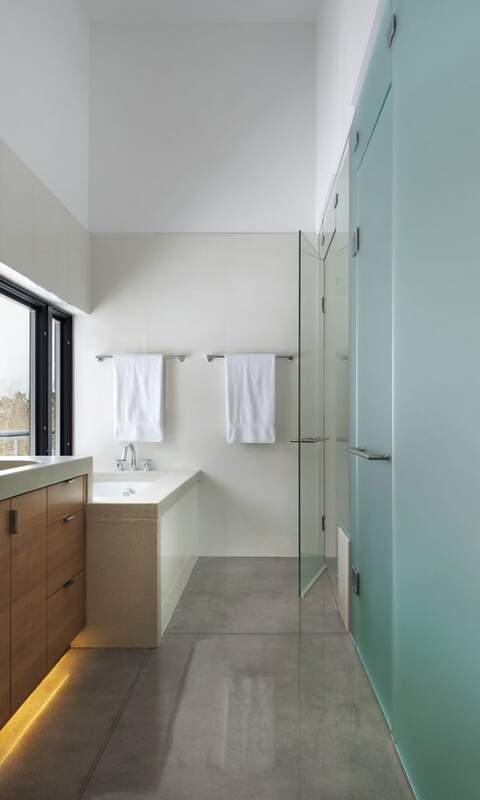 Floor to ceiling glass offers occupants an almost cinematic experience of the diurnal rhythm of the earth. 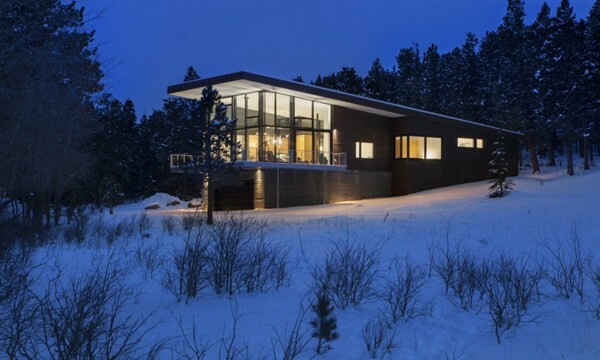 Sustainable features: Energy model was net-zero energy use, High performance, triple-pane glazing 10 kw solar array, Solar thermal system, Electric boiler with ceramic storage for radiant heat system, Natural ventilation, Large overhangs for shading, Concrete with fly-ash content, FSC-certified lumber, Formaldehyde free cabinets, Energy Star appliances, LED lighting.